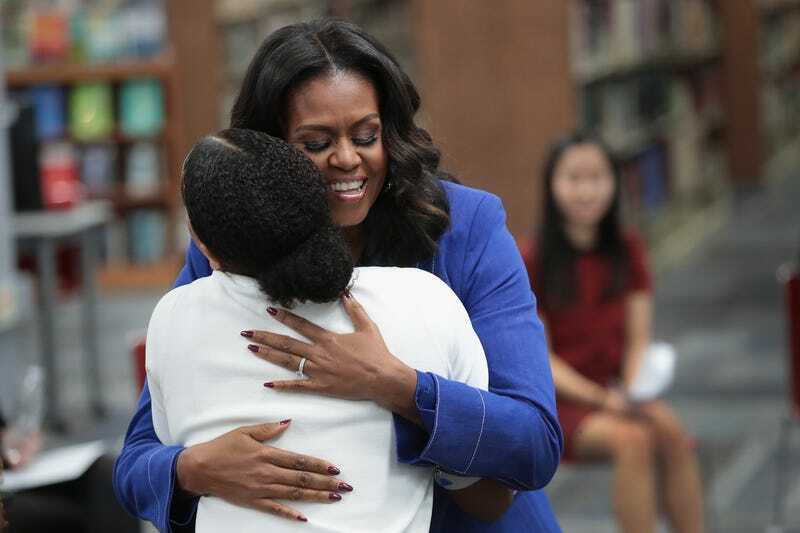 Michelle Obama, who is currently making the press rounds promoting her new book Becoming, appears to be sporting a flashier engagement ring recently. Michelle’s old ring was a tasteful solitaire set in yellow gold, with a simple gold wedding band to match. The new ring is white gold and square, or emerald cut. As the Obamas celebrated 25 years of matrimony last year, it was maybe a gift from Barack Obama to commemorate their anniversary. Buuut... it could have also been a “you owe me for dealing with being First Lady of this awful nation, which elected a hateful can of cheez whiz after you” commemorative apology gift. Can you imagine 25 years of marriage, to one person, even Barack Obama? Or 25 years of anything? She also has amazing lashes, who’s her vendor? After the death of Stan Lee yesterday, social media was inundated with stars, especially those who had worked with the prolific comic book creator, sharing their condolences, including photographs. Armie Hammer, though, said he finds the practice tacky, tweeting: “So touched by all of the celebrities posting pictures of themselves with Stan Lee... no better way to commemorate an absolute legend than putting up a picture of yourself.” Ouch. I agree with him, somewhat, but it’s not like there’s an etiquette guide to grieving online! Gwyneth Paltrow apparently deleted a photo which included a sponsored link to the dress she was wearing?